Revealed! 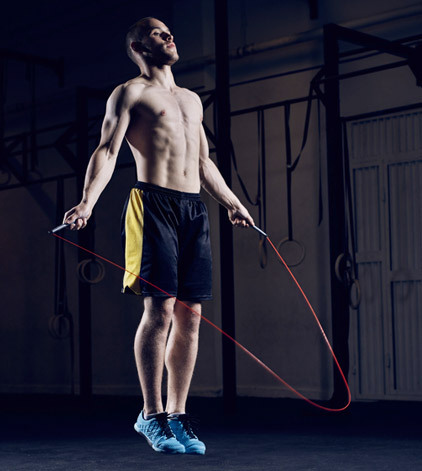 How 10 simple exercises will instantly restore balance to your posture making you physically stronger, mentally sharper and achieve peak performance. this problem EVERY SINGLE DAY. When you look at yourself in the mirror from the side, your ear, your shoulder and your hips should all be in a straight line down to the floor. If it is unaligned and your ear is in front of your shoulders, it's a sure sign of forward head posture. 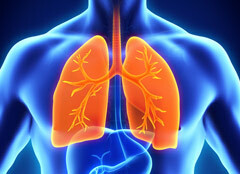 … achieve peak performance with greater lung capacity and optimized hormones. … appear to be 10 lbs lighter and 2 inches taller. … are more focused and clear-thinking. 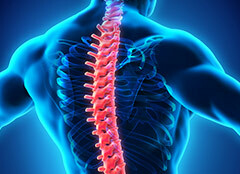 … protect your spine from wear and tear. 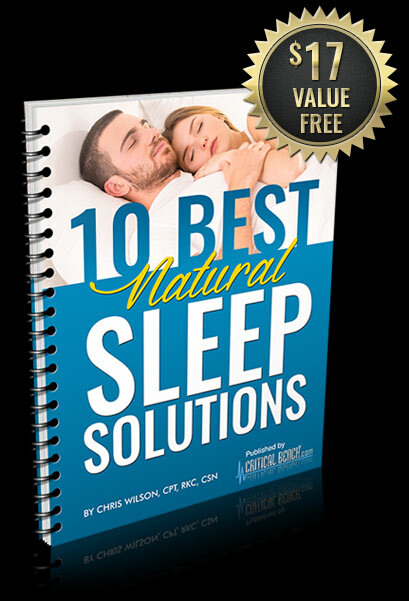 … breathe and sleep better without snoring. … increase your confidence so you're not self-conscious. It's like the old man's hunch curving your body forward with your shoulders dropped making you look weak, submissive and shorter than you really are. 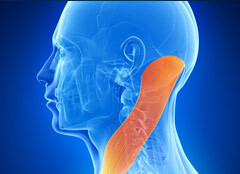 The curve of your neck and back means you may drop height by a couple of inches and look a lot older than you are. 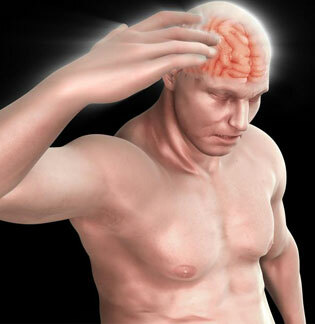 When your brain does not get the blood and oxygen it requires to function, you'll often experience side effects like headaches and migraines. Forward Head Posture or what some people call "turtle neck" has been shown to lead to a decrease in the strength in the muscles involved in breathing which will decrease your breathing and can reduce your lung capacity by 30% affecting athletic performance. and shoulders... for the rest of your life. When the problem seems so obvious and the symptoms appear so damaging, you have to ask, why isn’t more being done to fix forward head posture? You just can't correct the damage that has already been done with static stretching alone. 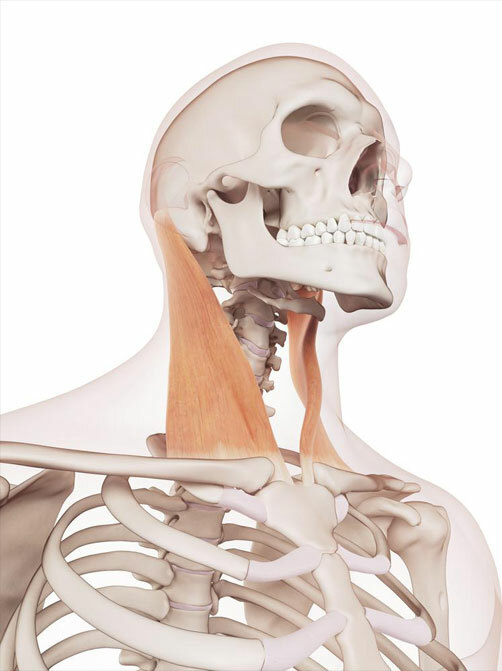 There needs to be a combination of corrective exercise and other techniques to open up and release the neck while activating other muscles so you can return to a balanced state with proper movement in the neck. It’s not about the stretches and movements; it’s about the ORDER of the movements. 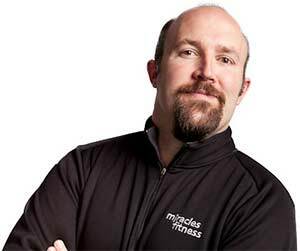 To explain in detail, I’d like to introduce Rick Kaselj MS, a leading kinesiologist and injury specialist and co-creator of Clickbank's best-seller, Unlock Your Hip Flexors. In the third video, you'll find exercise swaps that include progressions and regressions to make the movements either harder or easier for you depending on what you need. We know that if a program takes more than a few minutes, work and life can get in the way and you simply can't find time to do the program. This would be a disaster for your health. 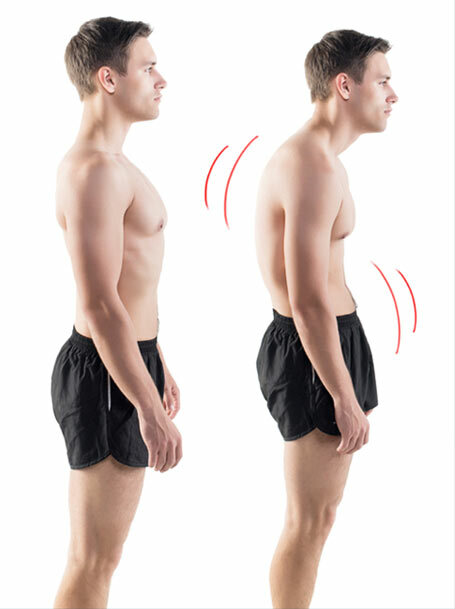 Most people who have forward head posture experience lower back pain from time to time. You've learned that the body follows the head which when corrected will decrease the pressure and weight you put on your spine. Exactly how to hit every single key neck muscle with targeted, move-by-move videos of each and every exercise within Rick’s “sequential flow” (Rick has designed a program so simple,clear and effective that it’ll become second nature in no time at all). 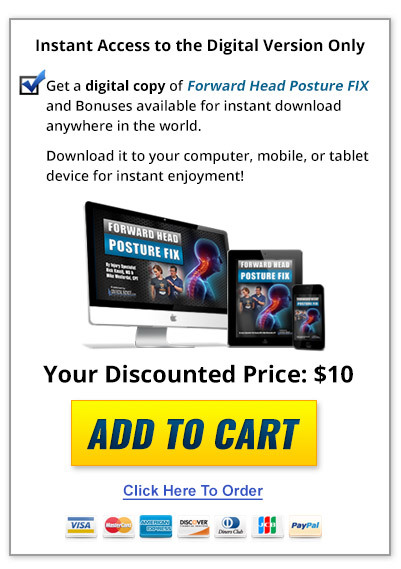 Why untreated forward head posture is like a ticking time bomb for your overall health and why you need to act NOW before the damage becomes irreversible (you really could be days away from causing irreparable harm to your body). 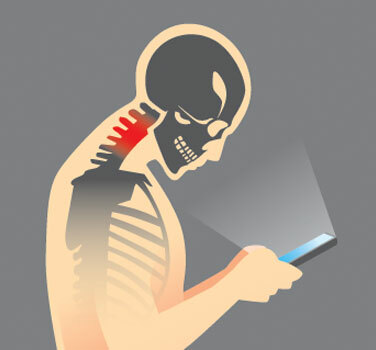 Why you’re more likely to suffer from texting neck if you work or hang out in any of these “high risk” areas for developing back and neck pain (check this out to make sure your home or workplace isn’t one of these). How women can instantly make their chest look bigger and their waist slimmer through this quick head forward posture routine. Why some people develop the ugly “Dowager Hump” because of poor posture and what to do about it if you’re already suffering (don’t worry, it can be reversed if you catch it in time). 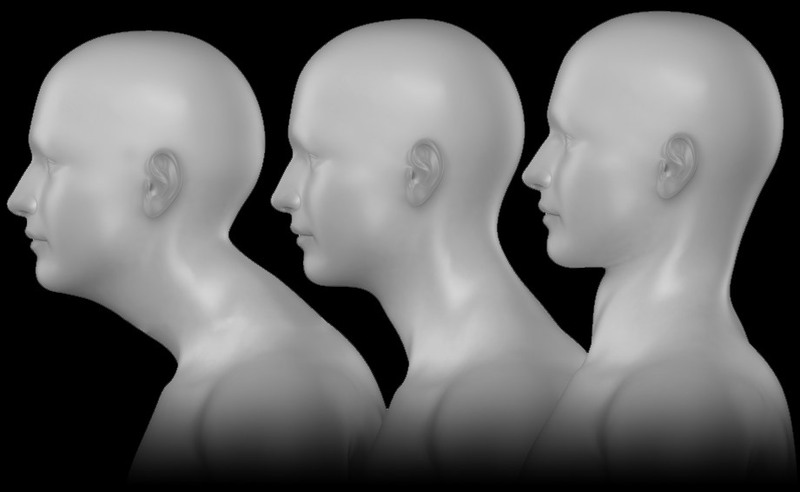 How your neck curve is SUPPOSED to look and feel like and how you can start making simple changes to prevent the discs in your neck joints from degenerating further. 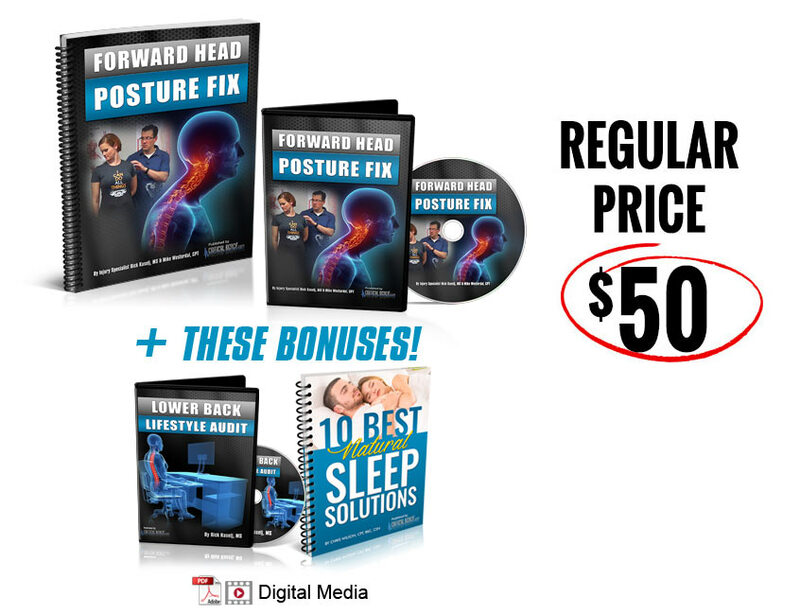 Why forward head posture is probably causing your body, bones and joints to degrade faster than normal and how you can instantly stop the clock on this rapid aging process. Why it may be too late to fix the damage to your neck, back and shoulders and exactly what you need to do to discover whether you can turn back your body clock before the damage becomes permanent..
"Working with female clients, I am always looking for new exercises to help with posture. 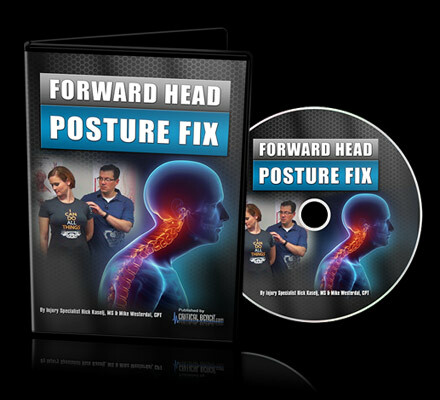 Rick's "Head Forward Posture FIX" is the perfect tool for any lady or man wanting to decrease pain, look younger, and stand taller. It is a great tool for me to use with my female clients ranging from age 10 - 83 with excellent results. The exercises are easy to learn and follow – and getting your clients looking and feeling their best is why we do what we do. Thanks Rick for helping me to help other ladies! 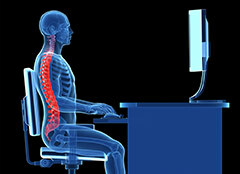 "Being in health industry for almost a decade, I know just how powerful posture can be. Unfortunately, there are too many dangerous programs out there that claim to solve the problem, but only make it worse. That's why when it comes to mobility, posture improvement, overcoming injuries and living pain-free, I go to Rick Kaselj. 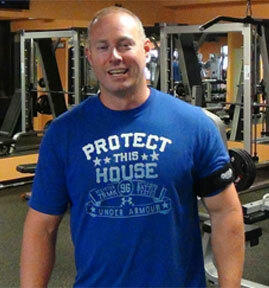 I've referred my online and private clients to Rick's programs for years because his methods simply work. His Forward Head Posture Fix has been his best program yet. Expect to see and feel a difference FAST. Get this now!" "I use to suffer from lots of headaches. 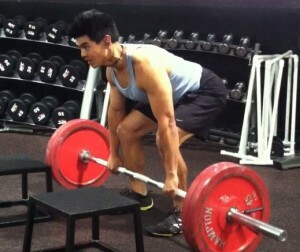 When I would go on heavy training cycles, I would also get neck pain while deadlifting. I pulled my leveator to a point of not being able to turn my head; it was terrible. Then when I discovered that a lot of my problems had to do with my forward head, a lot of pain began to dissipate. 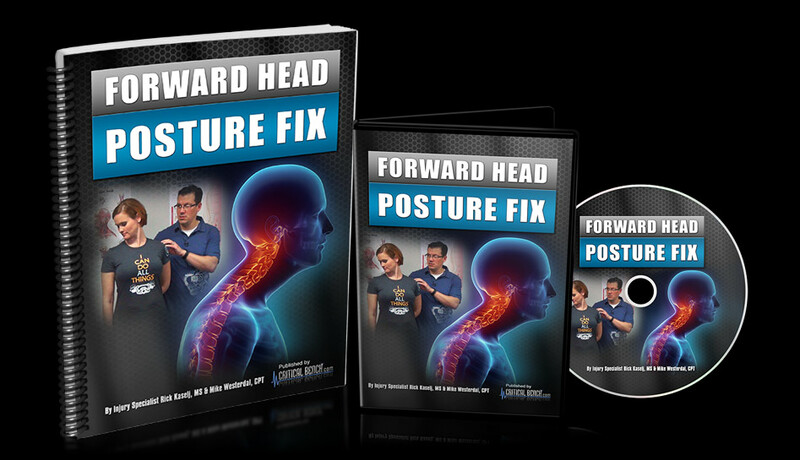 In my in-person 1-on-1 training business, I come across lots of clients with forward head posture. The follow along video invaluable as I've been teaching many movements already. 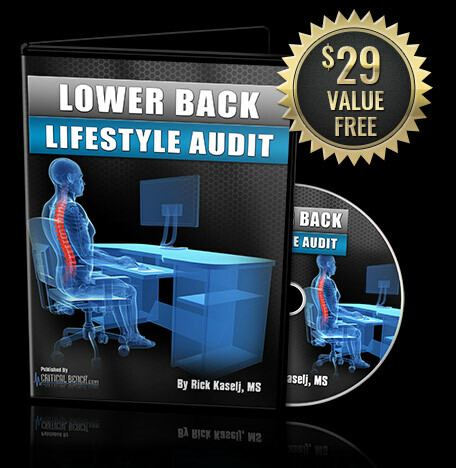 However, there's never been a product I've ever come across that will quickly resolve a lot of my clients neck and upper back problems in a simple to follow manner. I wish I had found this program years ago. Most important is the breathing. If your head is forward, you cannot breathe properly. This is one of the reasons people get headaches. Shallow breathing can make migraines worse. But for those that love to lift heavy weights, if you cannot fix your head position, you will rob you of all your power on all the major lifts. Most of my co-worker trainers I work with do nothing for their own forward head. This is a no brainer. Thanks so much Mike & Rick!" or we’ll give you ALL your money back. really be worth to you? 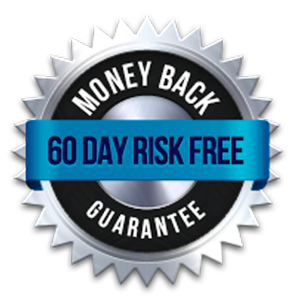 The full retail price of the program with bonuses is $97. However, as these are the first batch of programs available we’re slashing the price to get this to as many action-takers as possible. That’s why you won’t pay $97 for if you're one of the first people to take action during the launch. No, we’re making the very first version of the program available for a measly $10. For just $10 you’ll have access to the complete program, including Rick’s detailed video walk-through demonstrations and explanations of his unique “sequential flow”, the complete manual and the two powerful bonuses (total package valued at $97.00). Greater confidence - People with slumped shoulders display a lack of self confidence. According to a study, 92% of people were able to generate positive thoughts by adopting a better posture. If you have good posture, you’ll make a positive impression on others and instantly feel more confident and empowered. Look and feel slimmer - correct your posture and you’ll automatically look slimmer, when you lose the ugly turtle neck that squashes your belly outwards. As you start fixing your posture, you’ll notice your clothes start to fit a little better. You’ll also notice more and more comments from colleagues and friends that you look like you’ve lost weight, even turning heads in the office. After a few months, you look at yourself in the mirror and notice that you look more confident and leaner and then you'll remember today as the moment you made the decision which changed it all. 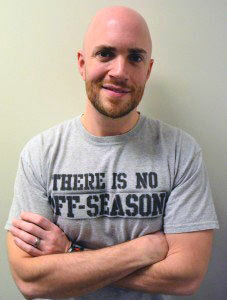 "I don't just recommend anyone in the fitness industry. In fact there aren't that many in the fitness industry that I would put my stamp of approval on. Rick Kaselj has put out more products that help people solve joint pain and injuries than anyone would have thought possible for a career! If you need help with mobility, range of motion, joint pain or simply moving better you need to pick up this product today! As always Rick stands behind his products with a solid satisfaction guaranteed...so you've got nothing to lose!" "As a fitness professional, and gym owner, I thought that I was always aware of my body mechanics and stood up straight with perfect posture. I had suffered a horrible accident in my twenties, getting hit in the head with a baseball bat, and that started a windfall of weakness and pain as the years went on. I would stretch regularly, do upper body exercises, and thought that I did everything to keep the pain away, after all, I was a fitness pro...but it kept getting worse. I started an online business a couple of years ago that involved sitting for hours at a desk on my laptop. Within a few months I had this nagging pain between my shoulders, radiating upward that wouldn’t seem to subside, getting worse every week, even after buying a “special ergonomic cushion” to sit on during my on line sessions. I went to a chiropractor, got massages, and kept actively stretching the muscles in and around my neck, sometimes taking pain medication...but the neck and upper back pain wouldn’t subside. After practicing the easy flow of movements and mobility exercises, and putting Forward Head Posture FIX into action for minutes daily... within weeks, I was free of the excruciating pain that made it hard to concentrate or perform even the simplest of tasks. I felt that every muscle in my upper body was more open, and relaxed. Since using this plan, not only am I pain free... I now implement these easy to practice movement patterns with clients in our gym so that they can prevent injuries of the neck and upper body, and recover from the pain associated with the wrong forward head posture." "As a CrossFit Coach to thousands of athletes from all over the world, I'm constantly preaching the importance of form and posture. 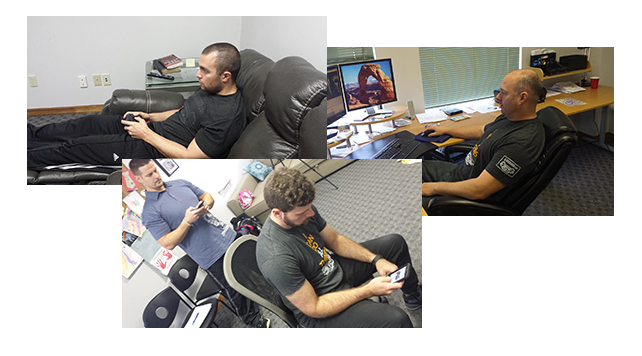 Nowadays with so many of my athletes spending their days sitting at a desk at work or texting with their head forward this can have a negative effect on their form and performance in their workouts. 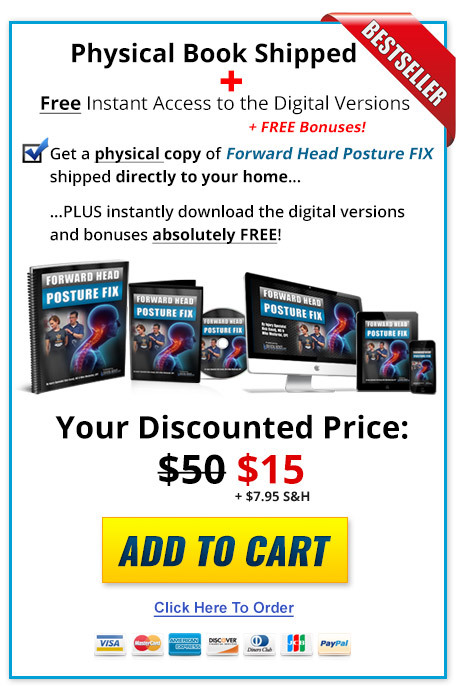 Forward Head Posture FIX is an amazingly simple and effective program that helps to correct the bad posture habits of my athletes so that they can perform at their best day in and day out. 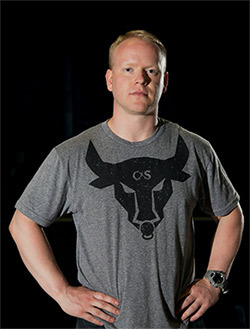 I'm excited to have more of my athletes follow this awesome protocol!" 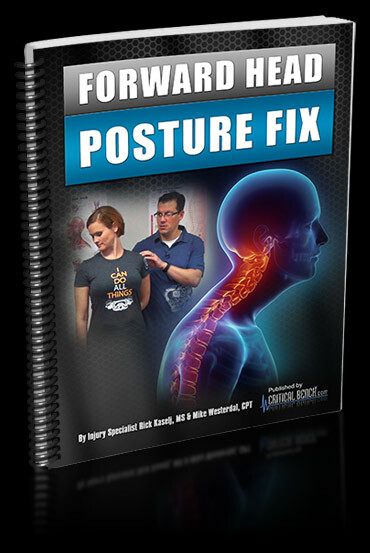 "One of the most common problems that clients of mine ask about is not always how to lose fat or gain muscle but surprisingly how to correct and fix poor posture. Many of them spend a lot of time sitting and even though they workout and are focusing on leading a healthy lifestyle they are still frustrated with neck pain, headaches and shoulder alignment problems that we really want to help them correct and eliminate for good. The great news for us and now you is any of these issues can be fixed. In our industry Rick is the go to person we all seek out to help us and our clients correct these annoying postural problems. Rick's newest solution 'Head Forward Posture Fix' is groundbreaking. It's proven, tested and scientifically structured - and its simple to understand as well. 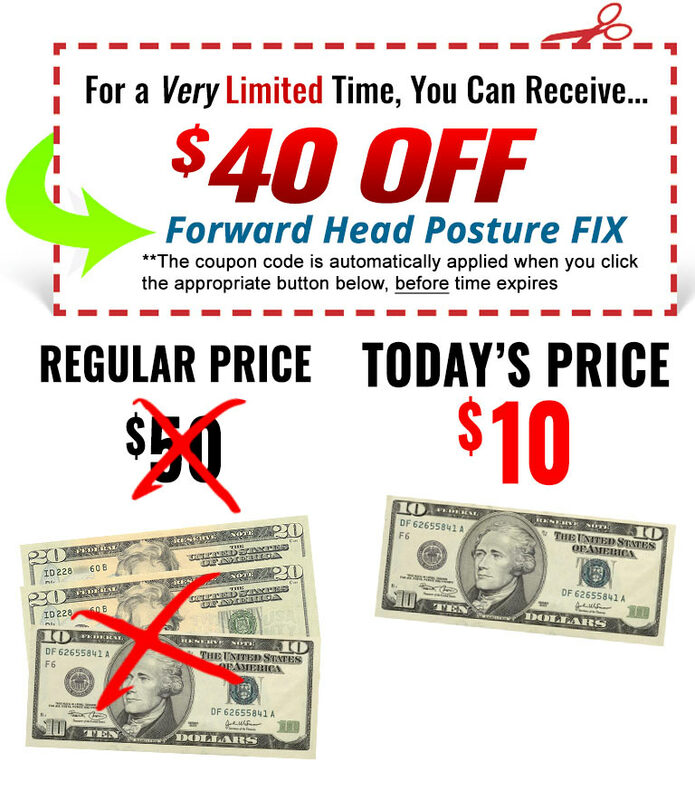 If you own a cell phone and you text a lot, sit down to work and have that constant nagging ache in your neck, back, shoulder - in fact your entire body - that you want to fix right now for good then you should take a look at Rick's Forward Head Posture FIX. It simply works and will solve a problem that has likely been bothering you for a very long time. " My favorite part of this program are the follow along videos which take you through exactly how to perform the exercises. 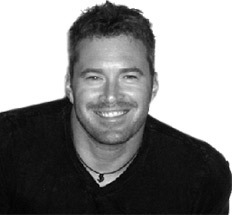 I can't recommend Coach Rick enough for anyone suffering from injuries and pain. His programs are the fastest and most effective by far." 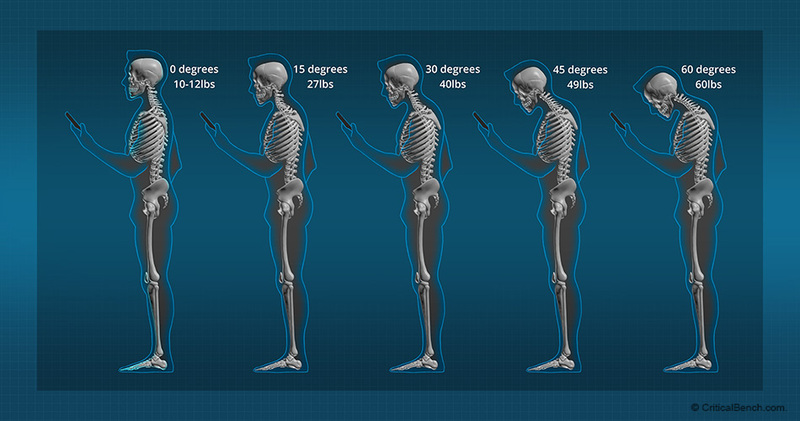 However it happens, there are major health consequences that go hand-in-hand with forward head posture. They include back pack, neck pain, restriction of your breathing, osteoporitic fractures, an associating with asthma, headaches, and it can even contribute to carpal tunnel syndrome." "The brain needs feedback from the body and in particular from the spinal joints and muscles in order to maintain any posture, such as sitting or standing. In fact C4 vertebral level in your mid neck has the most nerves feeding back to your brain and when the nerves are stretched due to a straight curve, it gives “false readings”, which perpetuate the poor posture. This is why regular correct and frequent exercise can change the false pathway and create new better postural pathways, which can break bad old habits." 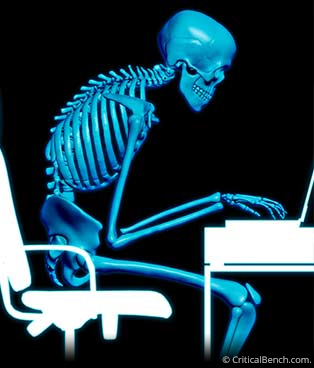 "To live a long, active, energetic life, few things matter more than good posture"
"These days, people are constantly "connected" to their hand-held devices, whether it is their cellular phones, portable video games like Nintendo DS, e-readers such as Amazon Kindle, or they are just using apps on an iPhone. A Kaiser Family Foundation survey found that young people 8-18 years old spend in excess of seven-and-a-half hours a day using some form of mobile media. As a result, this younger demographic will surely be presenting to our offices with more forward head posture (FHP)." A: As soon as you’ve entered your credit card details and hit submit, your payment is processed and you’ll shortly receive log-in details via your email account. Make sure you check your inbox carefully (and the Junk folder if nothing appears to come through). Once you’ve received your log-in details, simply log-in and you’ll instantly have access to the manual, all the videos and the bonuses in PDF and MP4 format so you don't have to wait to start experiencing results. Cagnie B, Dickx N, Peeters I, Tuytens J, Achten E, Cambier D, Danneels L. (2008). The use of functional MRI to evaluate cervical flexor activity during different cervical flexion exercises. J Appl Physiol (1985). 2008 Jan;104(1):230-5. Epub 2007 Nov 8. Cailliet, R. and Leonard Gross, L. (1987). 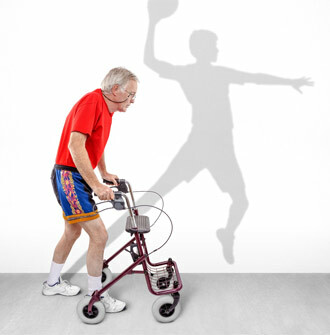 The Rejuvenation Strategy: A Medically Approved Fitness Program to Reverse the Effects of Aging. Doubleday and Company; 1st edition. Carney DR, Cuddy AJ, Yap AJ. (2010). Power posing: brief nonverbal displays affect neuroendocrine levels and risk tolerance. Psychol Sci. 2010 Oct;21(10):1363-8. doi: 10.1177/0956797610383437. Epub 2010 Sep 20. Dimitriadis Z, Kapreli E, Strimpakos N, Oldham J. (2013). 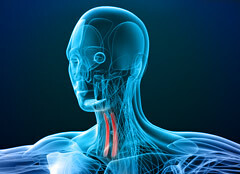 Respiratory weakness in patients with chronic neck pain. Man Ther. 2013 Jun;18(3):248-53. doi: 10.1016/j.math.2012.10.014. Epub 2012 Nov 28. Dusunceli Y, Ozturk C, Atamaz F, Hepguler S, Durmaz B. Efficacy of neck stabilization exercises for neck pain: a randomized controlled study. J Rehabil Med. 2009 Jul;41(8):626-31. doi: 10.2340/16501977-0392. Falla D, Jull G, Hodges P, Vicenzino B. (2006). An endurance-strength training regime is effective in reducing myoelectric manifestations of cervical flexor muscle fatigue in females with chronic neck pain. Clin Neurophysiol. 2006 Apr;117(4):828-37. Epub 2006 Feb 21. Falla D, O'Leary S, Farina D, Jull G. (2012). The change in deep cervical flexor activity after training is associated with the degree of pain reduction in patients with chronic neck pain. Clin J Pain. 2012 Sep;28(7):628-34. doi: 10.1097/AJP.0b013e31823e9378. Falla D, O'Leary S, Fagan A, Jull G. (2007). Recruitment of the deep cervical flexor muscles during a postural-correction exercise performed in sitting. Man Ther. 2007 May;12(2):139-43. Epub 2006 Aug 8. Fernández-de-las-Peñas C, Alonso-Blanco C, Cuadrado ML, Gerwin RD, Pareja JA. (2006). Trigger points in the suboccipital muscles and forward head posture in tension-type headache. Headache. 2006 Mar;46(3):454-60. Fernández-de-Las-Peñas C, Cuadrado ML, Pareja JA. (2007). Myofascial trigger points, neck mobility, and forward head posture in episodic tension-type headache. Headache. 2007 May;47(5):662-72. Griegel-Morris, P., Larson, K., Mueller-Klaus, K., Oatis, C.A. (1992) Incidence of Common Postural Abnormalities in the Cervical, Shoulder, and Thoracic Regions and their Association with Pain in Two Age Groups of Healthy Subjects. Physical Therapy. 72 (6), 425–431. Gupta BD, Aggarwal S, Gupta B, Gupta M, Gupta N. (2013). Effect of Deep Cervical Flexor Training vs. Conventional Isometric Training on Forward Head Posture, Pain, Neck Disability Index In Dentists Suffering from Chronic Neck Pain. J Clin Diagn Res. 2013 Oct;7(10):2261-4. doi: 10.7860/JCDR/2013/6072.3487. Epub 2013 Oct 5. Janda, V. (1988). Muscles and cervicogenic pain syndromes. Physical therapy of the cervical and thoracic spine. Churchill Livingstone. Kang DY. (2015). Deep cervical flexor training with a pressure biofeedback unit is an effective method for maintaining neck mobility and muscular endurance in college students with forward head posture. J Phys Ther Sci. 2015 Oct;27(10):3207-10. doi: 10.1589/jpts.27.3207. Epub 2015 Oct 30. Kang JH, Park RY, Lee SJ, Kim JY, Yoon SR, Jung KI. (2012). The effect of the forward head posture on postural balance in long time computer based worker. Ann Rehabil Med. 2012 Feb;36(1):98-104. doi: 10.5535/arm.2012.36.1.98. Epub 2012 Feb 29. Kapreli E, Vourazanis E, Billis E, Oldham JA, Strimpakos N. (2009). Respiratory dysfunction in chronic neck pain patients. A pilot study. Cephalalgia. 2009 Jul;29(7):701-10. doi: 10.1111/j.1468-2982.2008.01787.x. Epub 2009 Feb 2. Kapandji, I. A. (2008). 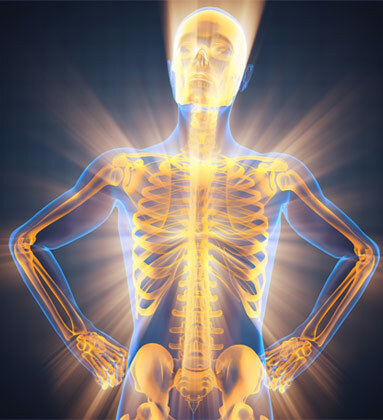 The Physiology of the Joints. Churchill Livingstone; 6 edition. Lee MH1, Park SJ, Kim JS. (2013). Effects of neck exercise on high-school students' neck-shoulder posture. J Phys Ther Sci. 2013 May;25(5):571-4. doi: 10.1589/jpts.25.571. Epub 2013 Jun 29. Morningstar M. (2002). Cervical curve restoration and forward head posture reduction for the treatment of mechanical thoracic pain using the pettibon corrective and rehabilitative procedures. J Chiropr Med. 2002 Summer;1(3):113-5. doi: 10.1016/S0899-3467(07)60013-5. Ozbek MM1, Miyamoto K, Lowe AA, Fleetham JA. 1998). Natural head posture, upper airway morphology and obstructive sleep apnoea severity in adults. Eur J Orthod. 1998 Apr;20(2):133-43. Park Y, Bae Y. (2014). Comparison of postures according to sitting time with the leg crossed. J Phys Ther Sci. 2014 Nov;26(11):1749-52. doi: 10.1589/jpts.26.1749. Epub 2014 Nov 13. Erik Peper and I-Mei Lin (2012) Increase or Decrease Depression: How Body Postures Influence Your Energy Level. 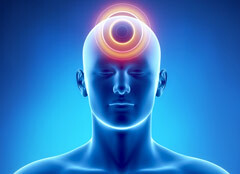 Biofeedback: Fall 2012, Vol. 40, No. 3, pp. 125-130. Silva AG, Punt TD, Sharples P, Vilas-Boas JP, Johnson MI. (2009). Head posture and neck pain of chronic nontraumatic origin: a comparison between patients and pain-free persons. Arch Phys Med Rehabil. 2009 Apr;90(4):669-74. doi: 10.1016/j.apmr.2008.10.018. Sato H, Ohashi J, Iwanaga K, Yoshitake R, Shimada K. (1984). Endurance time and fatigue in static contractions. 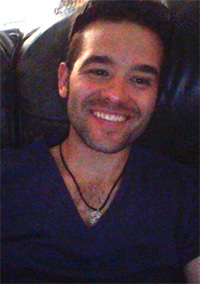 J Hum Ergol (Tokyo). 1984 Dec;13(2):147-54. Sjøgaard G, Savard G, Juel C. (1988). Muscle blood flow during isometric activity and its relation to muscle fatigue. Eur J Appl Physiol Occup Physiol. 1988;57(3):327-35. Wilson VE, Peper E. (2004). 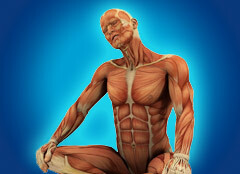 The effects of upright and slumped postures on the recall of positive and negative thoughts. Appl Psychophysiol Biofeedback. 2004 Sep;29(3):189-95. Yoo WG. (2013). Effect of thoracic stretching, thoracic extension exercise and exercises for cervical and scapular posture on thoracic kyphosis angle and upper thoracic pain. J Phys Ther Sci. 2013 Nov;25(11):1509-10. doi: 10.1589/jpts.25.1509. Epub 2013 Dec 11. © 2016 & Beyond. Critical Bench, Inc. PO BOX 17959, Clearwater FL 33762 USA - All rights reserved.